The following is a list of organizations and individuals who support and collaborate with CAPS. Since 1981 Mission Hill Family Estate has pioneered British Columbia’s Okanagan Valley as a premium wine making region. 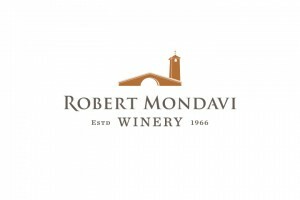 Founded by Proprietor Anthony von Mandl, O.C., O.B.C., the iconic family-owned winery is known for its international award-winning wines and dramatic architecture including a 12 storey bell tower and cellars blasted into volcanic rock, set against a backdrop of majestic mountains, scenic lakes and the geometric beauty of the vineyards that define the valley. Condé Nast Traveler has described Mission Hill as ‘The Gold Standard of Wineries’. For more information visit missionhillwinery.com. 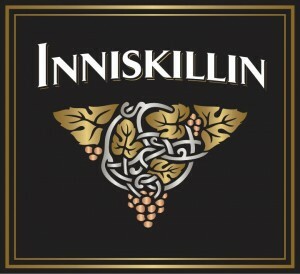 Inniskillin is perfect for pairing. As Canada’s original estate winery, we're an industry pioneer committed to the production of premium wines made from quality grapes grown in Canada for over 35 years. With wineries in Niagara-on-the-Lake, Ontario and Okanagan Valley, British Columbia, Inniskillin leads the way with a full collection of world renowned, award-winning VQA table wines and Icewines crafted by progressive, artisanal winemakers. The Company's award-winning premium and ultra-premium brands include Peller Estates, Trius, Hillebrand, Thirty Bench, Sandhill, Copper Moon, Calona Vineyards Artist Series VQA wines and Red Rooster. Complementing these premium brands are a number of popular priced products including Hochtaler, Domaine D'Or, Schloss Laderheim, Royal and Sommet. With a focus on serving the needs of all wine consumers, the Company produces and markets personal winemaking products through Global Vintners Inc., the world leader in the consumer-made wine industry. Global Vintners manufacturers and distributes products worldwide under the main brands of Winexpert, Vineco, Wine Kitz and Artful Winemaker. In addition, the Company owns and operates Vineyards Estate Wines, Aisle 43 and WineCountry Vintners, independent wine retailers in Ontario with more than 100 well-positioned retail locations. The Company's products are sold predominantly in Canada. The company also represents a broad range of international brands through its two import divisions, Grady Wine Marketing in British Columbia, Alberta, Saskatchewan and Manitoba, and The Small Winemakers Collection in Ontario. Andrew Peller Limited common shares trade on the Toronto Stock Exchange (symbols ADW.A and ADW. Founded in 1993, ARAEX Rioja Alavesa led by Javier Galarreta; brought together a group of winegrowers from Rioja Alavesa and later other important Spanish regions to join forces and market wines internationally. Today branded as ARAEX Grands Spanish Fine Wines, the firm is an exporter, grower and brand owner of internationally acclaimed Spanish wines now present in more than 70 countries. We are The Leading Group of Independent Spanish Winegrowers, with a sales volume of more than 11 million bottles in the international market. Our mission since 1978 has been to source the finest and rarest wines, spirits and beers of both exceptional quality and value, provide exemplary service and give back to our community. We are guided by passion, commitment and true love of the culture of wine, spirits and beer. Authentic Wine & Spirits Merchants is a national fine wine & spirits importing, distributing and marketing agency in Canada. Authentic Wine & Spirits Merchants is part of the Charton Hobbs Group, which is a fourth generation, family owned and operated agency, founded in 1927. After operating in Ontario since 1998, Authentic established itself as a national agency in 2006. After completing its expansion into Quebec and Western Canada, Authentic has grown to become a leader in fine wine & spirits import and distribution across Canada. With the knowledge and experience from seasoned management and dynamic sales and marketing teams, Authentic Wine & Spirits Merchants has seen substantial growth since it began operations, and now sells over 1.3 million cases annually. 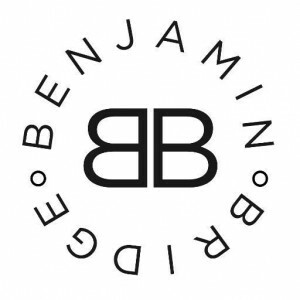 Benjamin Bridge is ‘Canada’s most acclaimed sparkling wine house.’ In little more than a decade, Benjamin Bridge has distinguished itself by its dedication to time proven techniques, expert guidance, and most importantly its acclaimed, distinctive wines. The Benjamin Bridge vineyards are located in the heart of the Gaspereau Valley on the Bay of Fundy, where the cool climate bears an uncanny affinity with the Champagne region of France. Their experienced winemakers work in collaboration with international experts to produce world-class Méthode Classique sparkling wines and limited edition luxury wines. Their innovative sparkling wines display the hallmarks of classic prestige cuvées from Champagne, but with a Nova Scotia signature. “They are, without question, the best sparkling wines I have tasted in Canada,” says Tony Aspler, Canada’s most renowned wine authority. Their collection of hand crafted fine wines, including perennial sell-out Nova 7, together with our sparkling wine program, have helped raise the profile of Nova Scotia terroir and its winemaking in Canada and internationally. Since its formation, PMA has become Canada’s leading Wine & Spirits Agency. We attribute this success to our supplier partnerships and dedicated team who are able to adapt to this rapidly changing industry to build brands for the long term. Some of the world’s premium spirits and wine brands we represent include Grant’s Whisky, Glenfiddich Single Malt Scotch, Gibson’s Finest Canadian Whisky, Two Oceans Wines, Amarula Cream Liqueur, Jägermeister and Disaronno. PMA Canada is based in Oakville, Ontario with a national marketing and sales team that employs over 110 people from coast to coast. We welcome you to look through our site and discover our brands. Philippe Dandurand Wines is a Canadian company with sales representation in all provinces, specialized in importing wines from various countries around the world known for producing high quality products. Their purpose is to promote and commercialize high quality wines in order to make them leaders within their respective categories. With over 90 employees, Philippe Dandurand Wines is the largest family owned company in the field of importing wines in Canada. Its focus is on promoting wines from amongst a portfolio of renowned wine producers. As the leading national agency in terms of sales volume in the imported wines category, Philippe Dandurand Wines is a company with integrity, centered on results. For over 45 years, Philippe Dandurand Wines stands out from other agencies with its professional and innovative team. It is a dynamic stronghold in the Canadian wine industry, thanks to its expertise, business intelligence and passion for wine. The company maintains an enviable relationship with the various Canadian liquor boards and influential players in the market, allowing it to excel in the wine business. 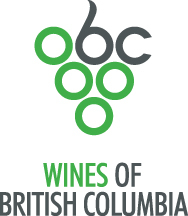 In 2006, the British Columbia Wine Institute (BCWI) members voted to become a voluntary trade association with member fees to be based on BC wine sales. The BCWI markets the wine and regions of BC; delivers quality trade, media and consumer tastings; and acts as the voice of BC's wine industry by advocating to government on behalf of an industry that contributes $2 billion in provincial economic growth annually. The BCWI represents all wineries in British Columbia to grow the premium market share for the Wines of British Columbia, while driving awareness of our world-class wines and tourism product which draws about 800,000 visitors with $476 million in tourism and tourism employment-related economic impact every year.